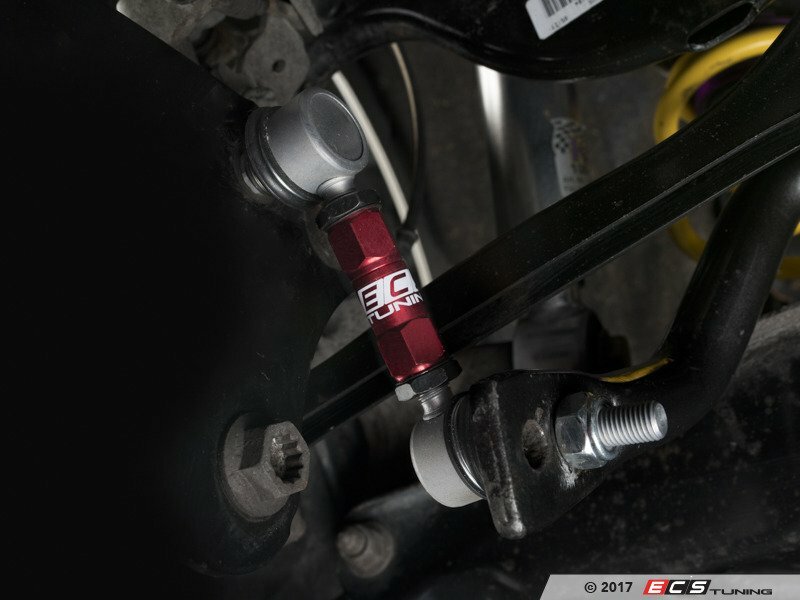 The ECS Tuning Adjustable Sway Bar End Links provide up to 23mm (0.91") of adjustment ranging from stock height all the way down to slammed setups, allowing you to eliminate sway bar preload or to fine tune sway bar preload for specific racing types and corner balancing. 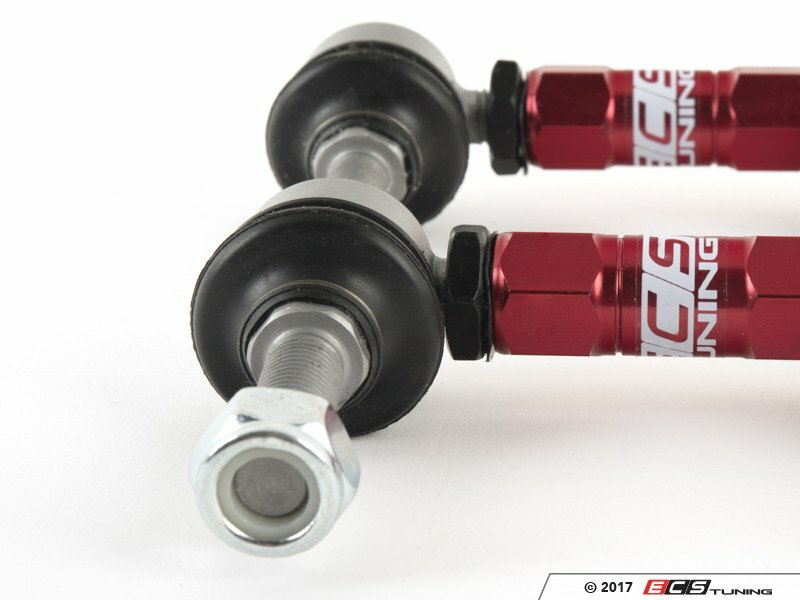 With our ECS Sway Bar End Links installed there is greater clearance between drivetrain components and improved sway bar reaction time by minimizing deflection within our heavy duty end links. 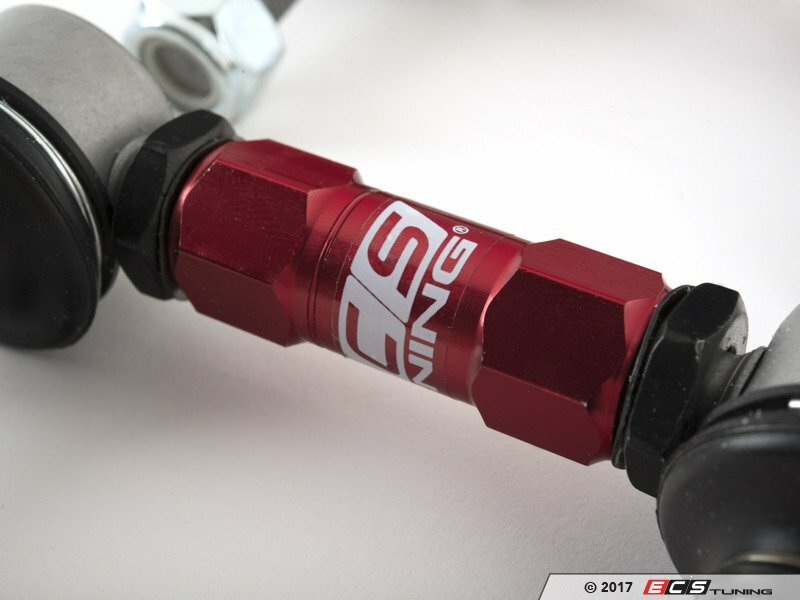 Having adjustable end links provides many benefits such as drivetrain clearance and preload adjustment. 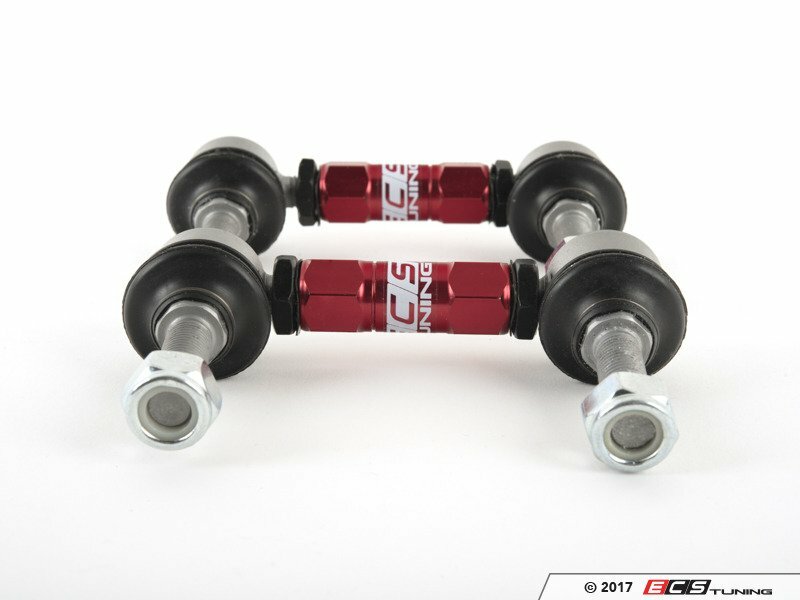 With changes in ride height resulting from lowering springs, coilover suspension and some air ride systems will quite often alter the center-to-center distance between the upper and lower mounting points of a sway bar link. 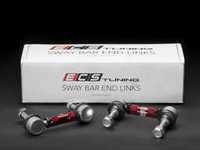 Installing a link of original length in this situation will apply a preload to the sway bar, which will have an adverse affect on suspension and handling. 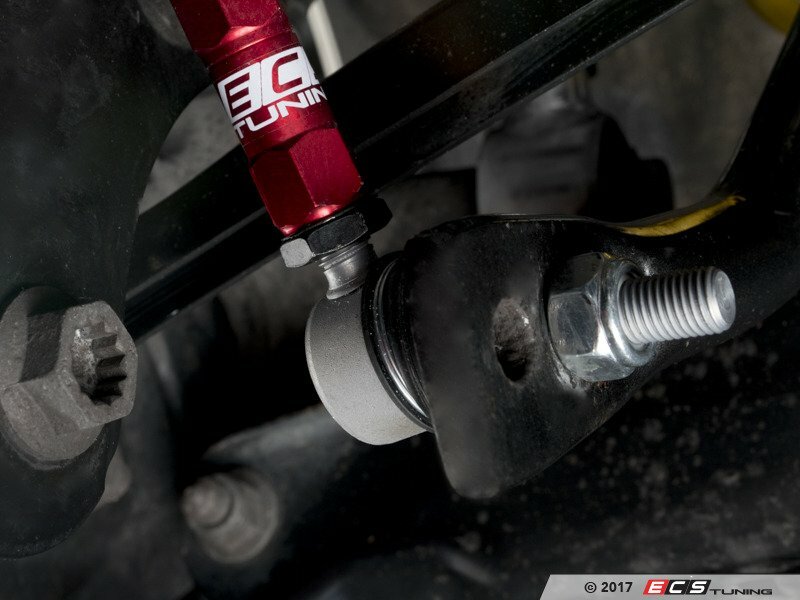 With an adjustable sway bar end link installed in a perfectly neutral position you can eliminate sway bar preload for proper handling in most driving scenarios. The main body is constructed from 6061-T6 billet aluminum and anodized red for corrosion protection. 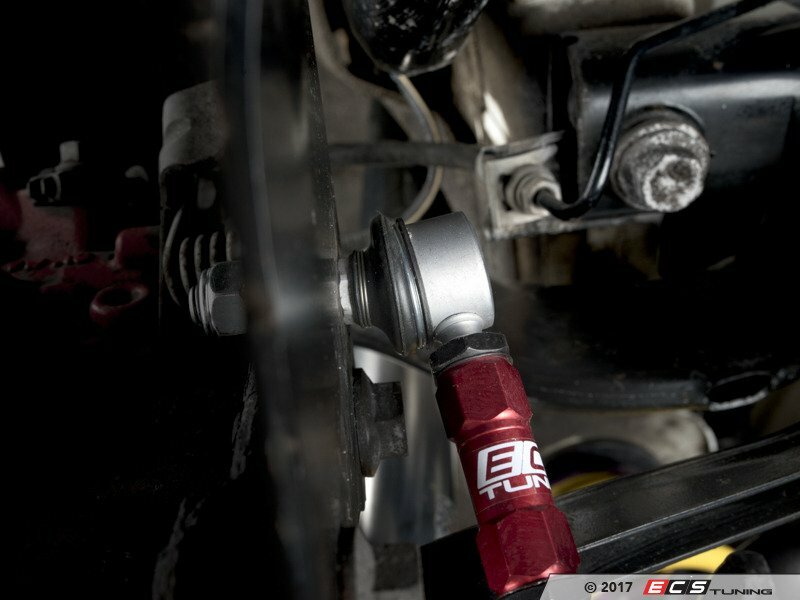 They feature machined hex wrenches at either side for easy on the car adjustments. Zinc black chromate lock nuts and wave washers secure the center body length to maintain adjustment height. Total range of adjustment is from 86.5mm-109.5mm. 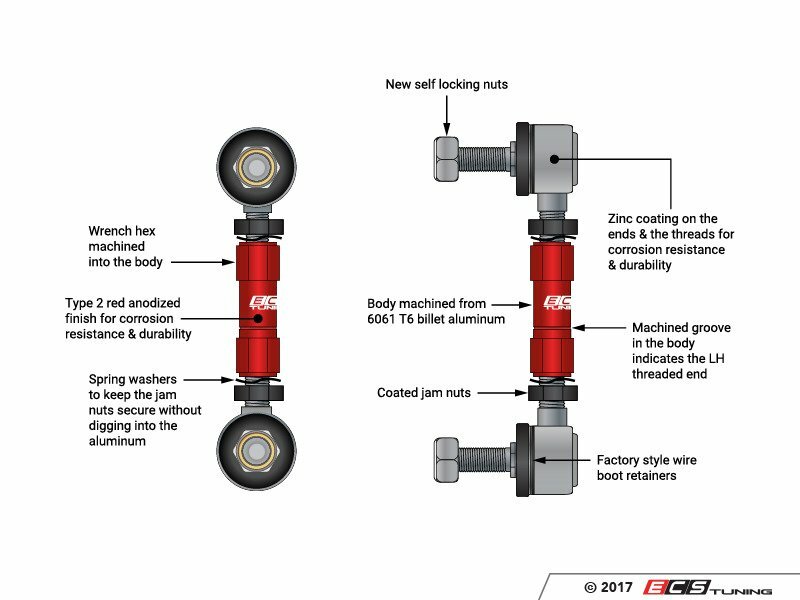 Gray zinc coated heavy duty ball joint ends complete the connection from the sway bar to the chassis. The ball joint ends include weather resistant rubber boots with stainless steel wire retainers for OE-like quality and extended durability against salt, rain and ozone impact. Each set includes zinc plated Nyloc nuts for final installation and hardened steel washers to be placed on either side of the sway bar to allow for greater contact surface. 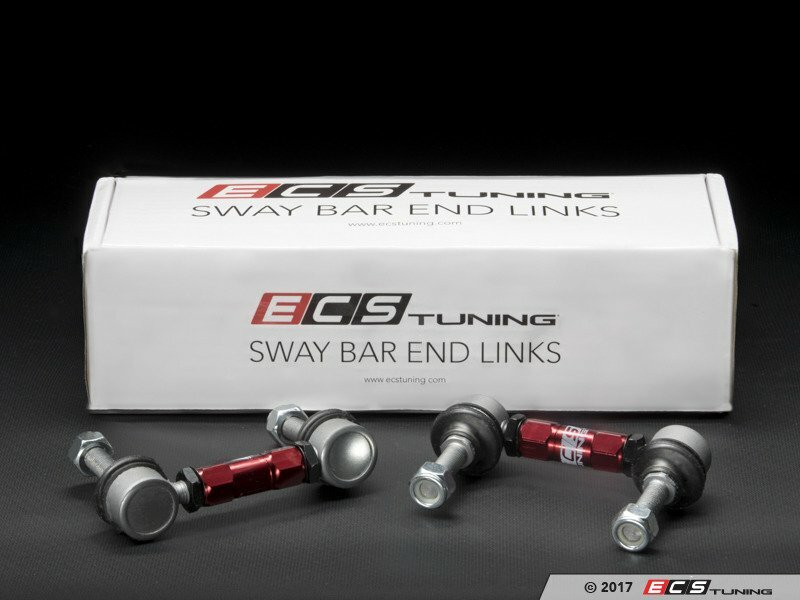 Our ECS Sway Bar End Links were designed, engineered, tested and quality inspected by our Research and Development team in our Wadsworth, Ohio facility. We ensured the highest level of precision and quality is delivered throughout rigorous long term product testing and leading edge product development methods. 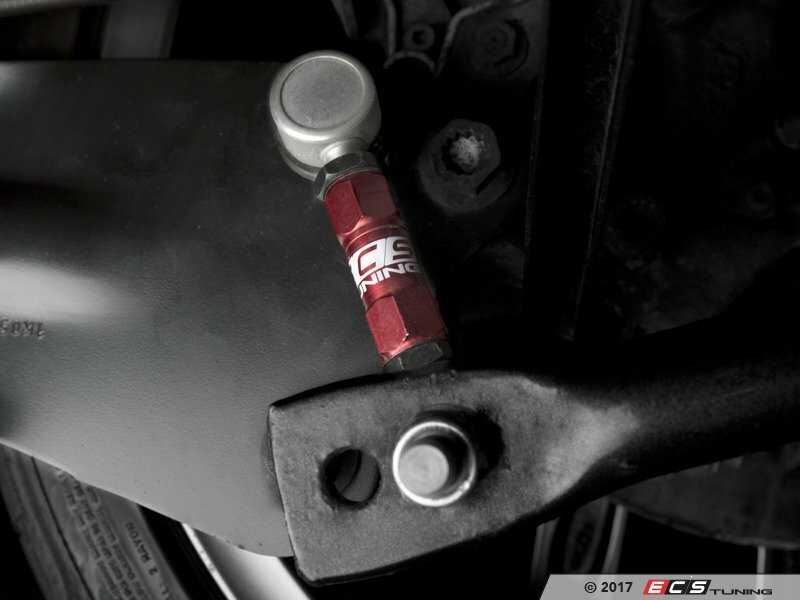 These are a must have for lowered suspensions or make for a high quality, heavy duty OE-replacement upgrade for stock suspensions. No matter if you're stock or lowered these can adjust to fit your needs. **Please note, once desired length is set please add a few drops of blue Loctite to the threads of the jam nut to maintain a secured position. See ES2710718 for purchase.